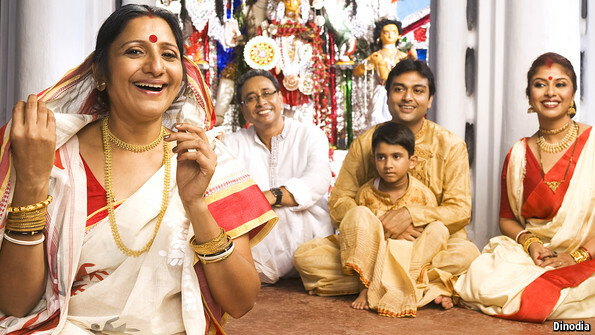 Family tradition in India is that when a son marries, he and his bride go to live with his parents. The bride’s family gives a dowry to her husband’s family for her care. Thus is the pain when a girl baby is born. . . . thought of the future dowry. Dowries are now outlawed in India , but tradition ends slowly. This practice of misusing the daughter-in-law by expecting her to be a servant to her new family, will probably be a surprise to many of you. Often, she must cover her face when her father-in-law and even her mother-in-law is present. Certainly a lonely life for a new bride and a struggle for the son trying to please his mama and his bride. Of course this is not a universal truth in India. There are many families where the addition of a daughter-in-love and the subsequent birth of grand babies are a loving and welcoming experience for the whole family. QUICK BYTES: Curated positive news from across the web. Read more. Daughters-in-law in India are often not treated with respect and dignity in their marital homes but are abused and given the status of hired help. No less than the Supreme Court of India has said so, expressing concern over instances of brides being burnt and tortured in the country. A daughter-in-law cannot be “thrown out of her matrimonial home at any time” and should be treated as a family member. The respect accorded to her “reflects the sensitivity of a civilized society,” the apex court stated. “Respect of a bride in her matrimonial home glorifies the solemnity and sanctity of marriage, reflects the sensitivity of a civilised society and eventually epitomises her aspirations dreamt of in nuptial bliss…But the manner in which sometimes the bride is treated in many a home by the husband, in-law and the relatives creates a feeling of emotional numbness in society,” it said. The court made the statements in the context of upholding the sentence of seven-year jail term to a man for torturing his wife, who committed suicide. “It is a matter of grave concern and shame that brides are burned or otherwise their life-sparks are extinguished by torture, both physical and mental, because of demand of dowry and insatiable greed and sometimes, sans demand of dowry, because of cruelty and harassment meted out to the nascent brides, treating them with total insensitivity, destroying their desire to live and forcing them to commit suicide, a brutal self-humiliation of life,”said justices KS Radhakrishnan and Dipak Misra said. The Supreme Court’s statements were welcomed not just by women’s groups but by people all across the country. This entry was posted in empowering women, India, teaching women their rights under the law, Uncategorized and tagged culture, Daughters-in -law are family not servant, expanded families, family, India, Indian Supreme Court, tradition, women's rights in India. Bookmark the permalink. I just want to say we girls should raise our voices. We should stop keeping quiet. There is a small message for victims suffering for cyberbulling. Hope you will love it. 🙂 and I will receive your support. It is most important to get the truth out to the light for all to see injustice. Blessings ! Thanks for this cultural insight! You are most welcome. India has such ancient and fascinating culture.